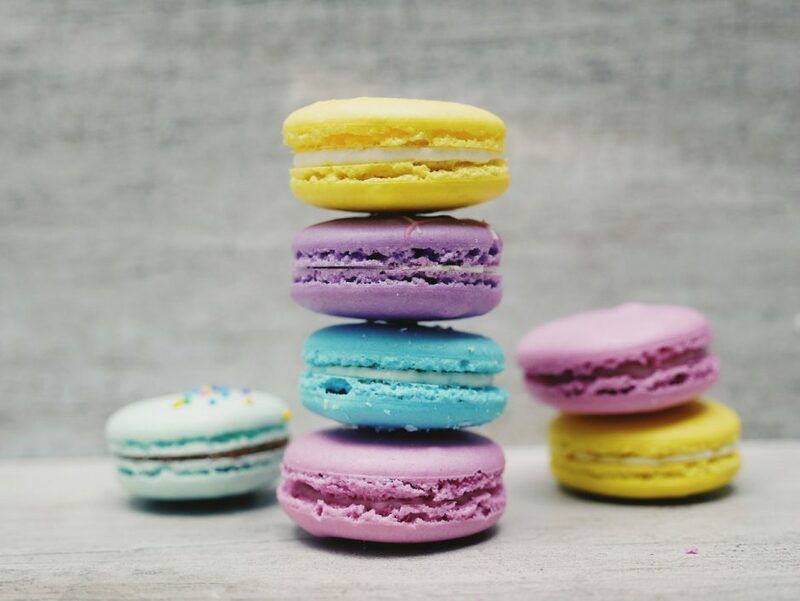 The French brag about creating the legendary Macarons – little sweets made of 2 domes of meringue and a heart of ganache cream – yet it takes no other than an etymology research to set things straight. It was Caterina de’ Medici who, in 1553, offered the famous pastry at her wedding with the Duke of Orléans, no less than four centuries before the claimed birth of Ladurée, the most famous pastry shop in Paris. Thus, Italy is the birthplace of the biscuit. Every since the Roman ages, when slices of bread cooked twice – “bis-cooked” – in the oven were distributed to soldiers before battles. Over the centuries, the sweet delights we know have served as a bonding element for the Italian unification. Historians tell how during World War I soldiers spent time in the trenches reading the letters sent by loved ones, accompanied by packages of food to share with their comrades. This is how the Sicilians discovered the existence of the trademark Piedmont butter cookies – the Krumiri – dedicated in the previous century to Victor Emmanuel II and his moustache (giving them their shape). Likewise, the soldiers from Piedmont got to know the shortcrust pastry biscuits covered in sesame seeds. The best of this kind were made by the Capuchin nuns of Palermo who, upon being asked the name of the scrumptious biscuits by Carolina, Queen of Naples and Archduchess of Austria – on a visit to the convent – answered “Reginelle” (little queens), just as we know them today. The Ricciarelli from Siena, named after a nobleman – Ricciardetto della Gherardesca – were tasted for the first time by Venetian soldiers, who in exchange disclosed the secrets of the cornflour Zaleti to their Tuscan counterparts. Thus, time in the trenches was alleviated by eating sweets and talking about food, as the Italian nation came to life. Biscuits have continued to represent the unity and modernization of the Country even after World War II, in the years of the economic boom, when homemade products turned industrial. The emblem of such period were the Pavesini, heirs to the Savoiardi from the age of Aimone of Savoy, an essential ingredient in two extremely famous desserts: the zuppa inglese and the tiramisù. Moreover, the history of Italian biscuit-making is not just a matter of taste and genuineness, but also great economic value: business dynasties such as the Loacher, the Galbusera, the Gentilini, the Lazzaroni (formerly importers of British biscuits, before becoming producers of the almond-based amaretti), the Colussi, the Doria, the Pavesi, and all the way to true international financial empires such as Barilla with its Mulino Bianco brand or Ferrero from Alba (Cuneo) – that has recently presented a 1.5 billion dollar offer to purchase the cookie branch of US giant Kellogg. Yessir, Italy sets out to conquer the world armed with biscuits. Just like the ancient Romans. Once again, Cibus returns to Parma in 2019, in its ‘Connect’ version. The rendezvous is set for Wednesday April 10th and Thursday April 11th; two strictly professional exhibition dates organized by Fiere di Parma (the Parma exhibition organization) and Federalimentare (the Italian food industry federation), in cooperation with ICE Agenzia (the national institute for foreign trade). Compared to the previous edition, Cibus Connect tripled its number of exhibitors and exhibition space upon adding a brand-new pavilion. Conferences will be an essential part of the event, with a handpicked selection of appointments. The schedule will kick off with a sector analysis drafted by Cibus and Federalimentare in cooperation with ISMEA, a public institute for food and agricultural market services. The analysis is focused on the success factors of agri-food companies in southern Italy that are currently standing out on the international stage. The afternoon of the first day will feature an assessment – in cooperation with the consulting company PricewaterhouseCoopers (PwC) – of the profitable relationships that may be built between food companies and large wholesalers. The discussion will star witnesses by international and Italian retailers. The second day will feature an assembly of the sector’s top players, who will present case histories from the retail and industrial world, focusing on premium brands and premium store brands as drivers of point of sale development in the food industry, with the support of Deloitte and the data from the 21st edition of their “Global Powers of Retailing” report. To end the event, there will be a workshop on successful cases of Food & Wine pairing on the shelves of international retailers. Thousands of Italian professionals and international top buyers are expected in Parma. The correspondence with the dates of the Vinitaly exhibition (Cibus Connect will begin on the day Vinitaly – Italy’s top wine sector exhibition – ends) will allow a synergetic flow of buyers from one trade show to the other. Italian Gelato meets haute cuisine in its most gourmet expression. 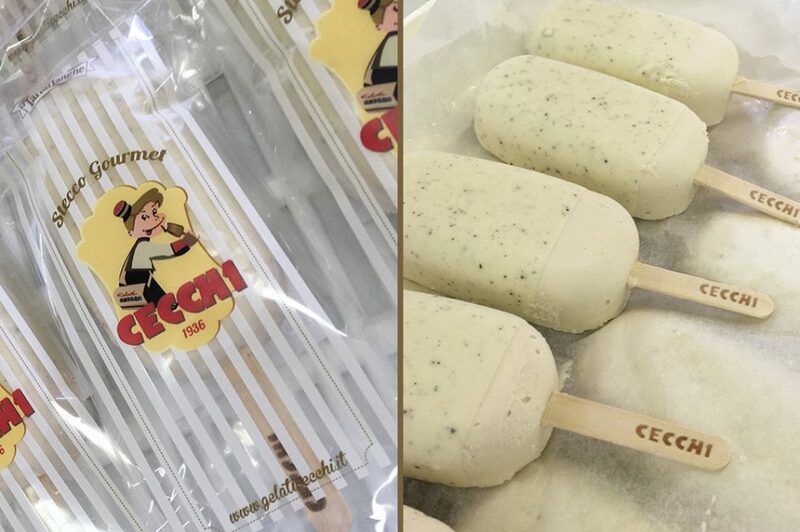 Thanks to Gelati Cecchi, the new frontier of sub-zero taste combines with the truffle, a food excellence of the Piedmont region, loved by gourmands all over the world. Created by Gelati Cecchi in cooperation with Tartuflanghe and with Olaf Cristoforetti’s precious technical counselling, STECCO GOURMET is an Gelato stick frozen following the classic method using mountain milk from the Trentino region and Piedmontese hazelnuts, then covered with crunchy summer truffle (Tuber aestivum Vitt.). It is a brand-new and attractive pairing that surprises the palate with its perfect equilibrium of sweet and savoury, while celebrating two flagship products of Piedmont: the truffle and the hazelnut. Packaged by hand in the typical vintage wrapping that distinguishes all Gelati Cecchi products, STECCO GOURMET is distributed by Alifood. From October 21st through October 25th 2018 the Parc des Expositions Paris Nord Villepinte (north Paris-Villepinte exhibition complex) will host the SIAL (international food exhibition), a biennial event dedicated to the world of food & beverage. 7,020 companies from over 109 countries will present their products to professionals in the food supply and restaurant industry: raw materials and finished goods, as well as the related paraphernalia, neatly organized in 21 exhibition sections. As always, SIAL focuses strongly on the state-of-the-art, by highlighting new developments in a constantly evolving sector. 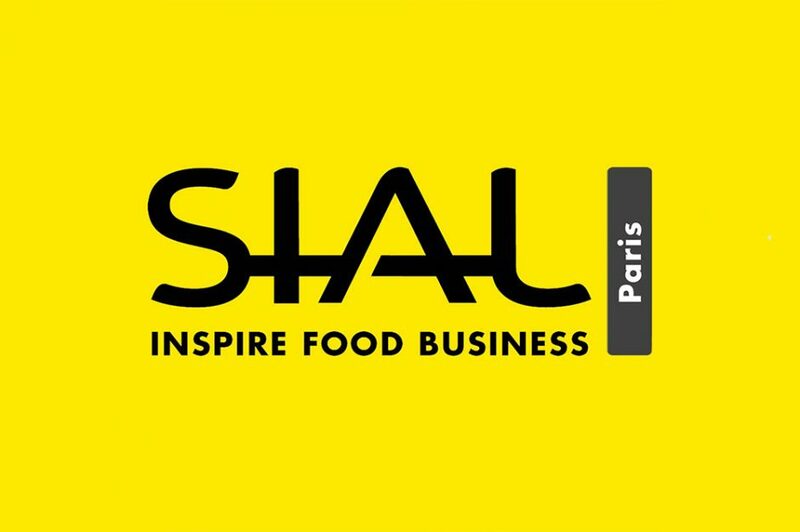 In fact, SIAL is the top global network of exhibitions, boasting an unparalleled geographic coverage: Paris, Montréal and Toronto, Abu Dhabi, Jakarta, New Delhi, and Shanghai. Strong of its capillary action, the international food exhibition has gained deep knowledge of all actors involved in the supply chain, and has built itself a role as privileged and respected observer of trends and innovations from all over the world. Once again, Alifood – a leader in food trading of Italian specialties – will be at the SIAL: visit us at Hall 1, stand 1F 136. Is it even possible to compile a list of the best restaurants in the world? Many have tried over the past few years, as food culture has undergone a real explosion, but what criteria is required to draw up a credible ranking? In France, it was La Liste (www.laliste.com) who tried using a self-styled algorithm to take into account the data forms of 550 gastronomical guidebooks from 165 countries and reviews of customers, in the order of various millions throughout the world. From here they were able to compile a Top 1000, criticized by many for the clear favouritism shown to the Gauls themselves: in 2018, the best restaurant in the world was Guy Savoy, legend of the Hotel de la Monnaie in Paris. Another algorithm is found at the base of the popularity ranking compiled by TripAdvisor, considered by restaurant owners as more of a curse than a blessing, even culminating in court cases and reports. As highlighted in an official announcement, the algorithm was designed “to give a statistical measurement of trust regarding the actual experiences of a place” and the determining factors being the popularity ranking “are the quality, recent posting and quantity of reviews that a particular place receives from users, as well as the coherence of said review over time”. Having said that, the 2017 Travellers Choice – the Oscars of TripAdvisor – ranked the British restaurant The Black Swan di Oldstead at first place. Finally we come to The World’s 50 Best Restaurants classification, probably the most reliable with its voting monitored by Deloitte. This classification is compiled from a survey undertaken by experts (chefs, journalists and gourmets) who have to prove they have eaten in the places indicated at least once in the last 18 months. Of the 1,040 experts of the jury, each has ten possible preferences: at least four (but six at the most) have to concern restaurants local to them. 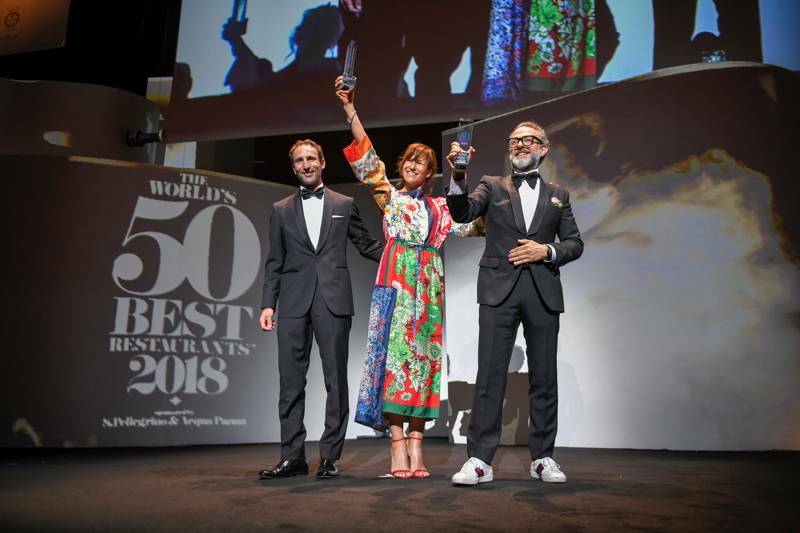 The 2018 edition of The World’s 50 Best Restaurant was won by the Osteria Francescana in Modena, with chef Massimo Bottura. “Italian food is an experience in tradition, continuity and development,” Pellegrino Artusi used to say. And the very first Notte Bianca del Cibo Italiano (Italian Food Under the Stars), to be held on 4th August, the date of his birth, will be dedicated in fact to the legendary writer, food expert and literary critic himself. 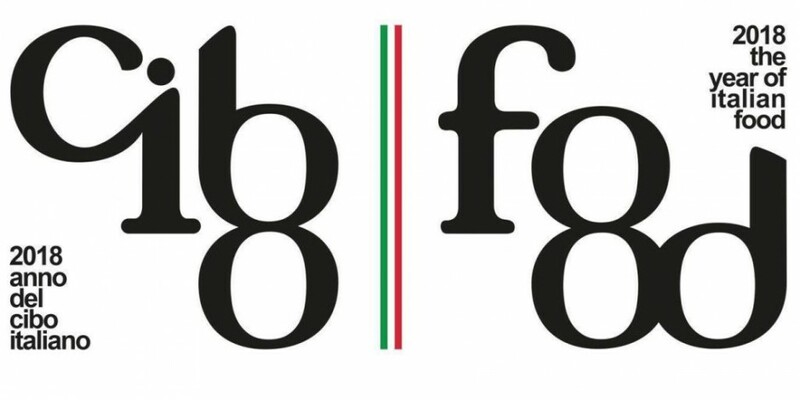 The initiative, announced by the former Ministers for Culture and Tourism and Food and Agriculture and Forestry Policies Dario Franceschini and Maurizio Martina during the presentation of the programme of the 2018 Year of Italian Food – a 12-month long national exhibition dedicated to Italian food and wine – will see piazzas throughout Italy fill with people for one night of public and private activities dedicated to one of the founding values of Italian identity. A huge event that will involve the entire country simultaneously and, above all, represent a great opportunity to discover Italy’s infinite resources in food and wine: dishes, ingredients, menus, traditions, food cultural experiences and much much more. The Notte Bianca del Cibo Italiano aims to reveal how much food and wine is an innate part of Italians’ identities and further explain its history and territory. And to interpret this value from the tourism and economy – and cultural, of course – viewpoint, so that food becomes a point of prestige and growth for the country. The spotlight will therefore shine, above all, on that special brand of ‘Italian-style living’ that attracts visitors from all over the world, promoted through the food districts: a new form of territorial organisation set up to support activities in individual areas while allowing free communication between them. A place to taste. To reach business agreements. To debate the hot topics of oenology. Once again, the wine world has met in Verona for Vinitaly 2018, the international sector-specific exhibition, celebrating its 52nd edition. 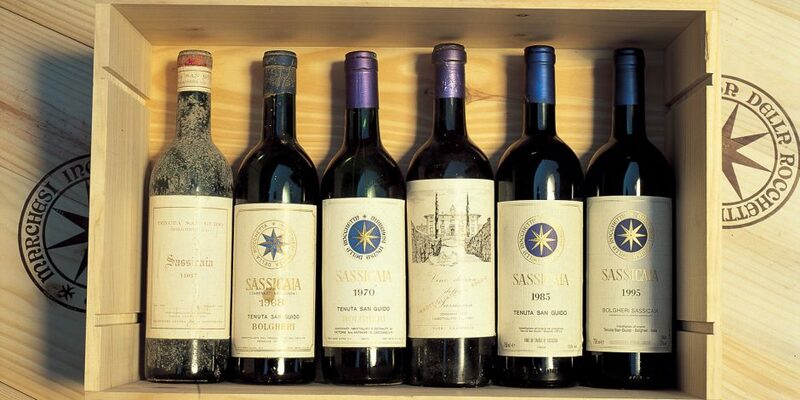 Despite the concerns related to international politics, the wine sector continues to be a driving force for Italy. 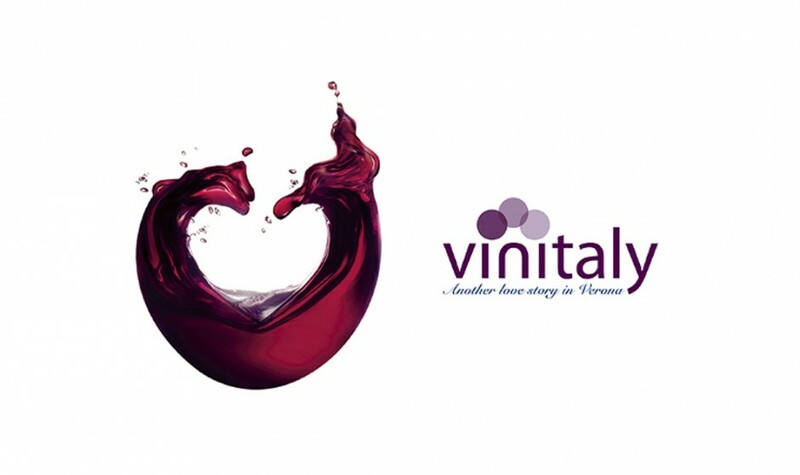 The 2018 edition of Vinitaly broke an absolute record in terms of exhibitors, with its 4,380 companies (+3% compared to 2017) from 36 countries presenting a total of 15,100 wines in Verona from April 15th to April 18th. With the number of visitors has remained essentially equal to the previous year – 128,000 according to official statistics – visitor quality has instead risen. 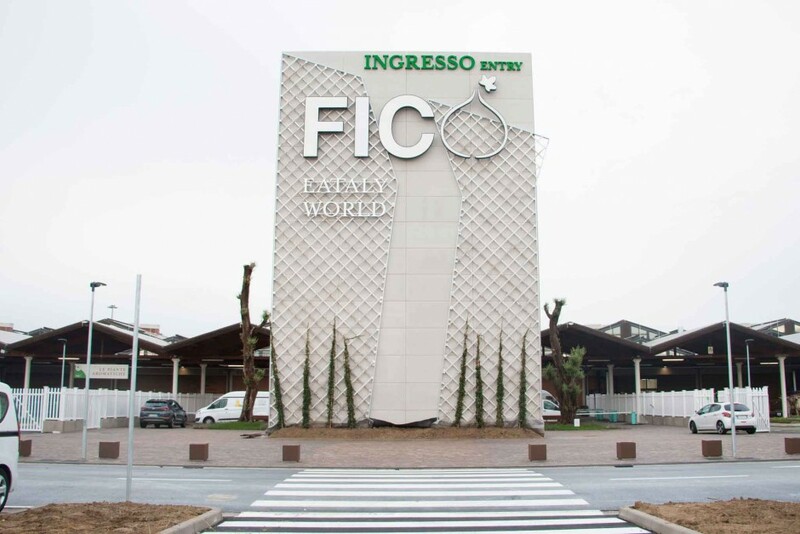 Indeed, due to a precise strategy adopted by the organizers, there has been an increase in international buyers, reaching Verona from 143 countries and growing by 6% – 32,000 visitors in total. More specifically, compared to 2017, buyers from the United States, China, Poland, and Israel, have increased by 11%, 34%, 27%, and 300% respectively. “The flourishing presence of professionals attending the 2018 edition”, stated General Manager of Veronafiere (fair of Verona organization) Giovanni Mantovani, “is a witness of Vinitaly’s b2b role at an international level, with buyers selected and accredited from all around the world”. “Vinitaly 2018 has confirmed its vocation as a business-oriented event and the right place to promote the winemaking and vine-growing world”, commented President of Veronafiere Maurizio Danese, “We’re on the right track, which we firmly elected on the occasion of the 50th anniversary edition. The in-fair event is growingly targeted to professionals, while at the same time fringe events for wine-lovers downtown have also grown exponentially. Vinitaly and the City has brought over 60,000 visitors to the historic centre of Verona and to the nearby towns Bardolino, Valeggio sul Mincio, and Soave. It is a project that spun off from the start-up phase and has become a product of its own, which is how it will be conceived starting from the next edition”. Vinitaly 2019 will be held in Verona from April 7th to April 10th. From 7th to 10th May 2018, the food capital of the world will be in Parma. 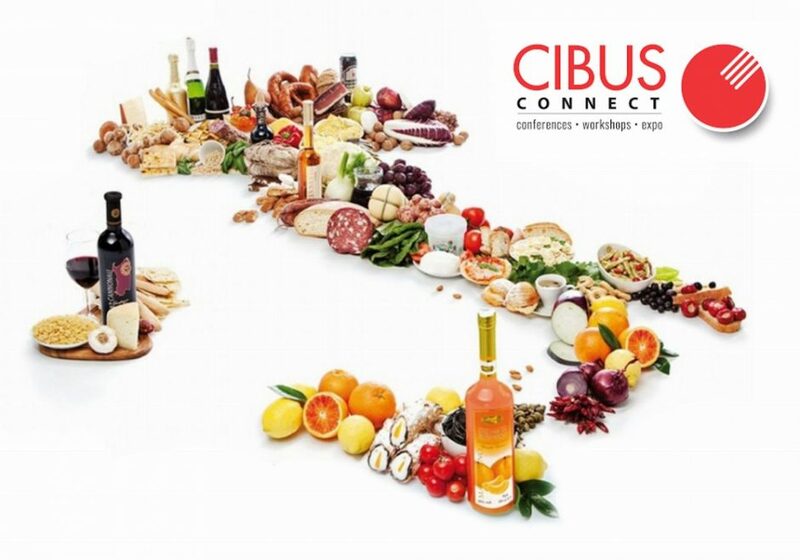 The ducal city, in fact, will be hosting the 19th edition of Cibus, one of the most important fairs of the Italian food industry organised by Fiere di Parma and Federalimentare (Italian Federation of the Food Industry). 3,100 exhibitors will be participating (100 more than the last edition) over more than 135,000 square metres of exhibition areas: 5,000 square metres more than the 2016 edition thanks to the construction of a new temporary pavilion. 80,000 professionals are expected to visit, 20% from abroad and, among them will be 2,500 top buyers. A thousand new products will be on show and a selection of the 100 most innovative will be found in the Cibus Innovation Corner, a new exhibition and meetings area. With the many round table meetings, conventions, seminars and workshops on the programme, Cibus will be an occasion to touch on some of the most relevant themes affecting the sector: biotechnology and scientific research in the food industry; innovation and sustainability; the prevention of food waste; fake news; promotion of Italian products abroad; real sales points vs online shopping; packaging and much, much more. From 5th to 13th May, Parma’s Piazza Garibaldi will play host to an extra event – Cibus Off –, part of the activities organised to help promote “Parma City of Gastronomy”. Antonio Ferraioli, deputy chairman of Federalimentare, explains: “This year we are celebrating Italian food and the sector’s data perfectly supports this important investiture. 2017 saw us finally coming out of the economic crisis and, in fact, 2018 seems to confirm how the food industry has established itself as a driving force of the Italian economy, growing more and better than other sectors and this is why we must focus on the valorisation and promotion of our Made in Italy products not only in Italian policies but also in Brussels where we fight for our individual competitiveness”. For the tenth time in a row Alifood, a leader among high quality Italian food products, has confirmed its participation in Cibus (Pavilion 4.1, stand C26). For the Genoa-based company, this fair is an important occasion to reinforce their relationship with the biggest players in the sector and to establish new strategic alliances. 169 years have gone by since Charles Henry Harrod opened a little drugstore in London where he sold tea, coffee, and biscuits. Since then, the small Knightsbridge grocery store has become a 90,000-m2 (107,600-ft2) luxury temple hiring 5,000 employees, where visitors may find, as the slogan boasted: anything “from a pin to an elephant”. Charles Henry Harrod has left us, but the current owners – Qatar Holding – have decided to honour his memory through a radical revolution of the section dedicated to food and drinks: “The taste revolution”. Basically a return to the old days, with the goal of conquering customers by aiming at the stomach. The revolution has already begun at Harrods Food Halls, dedicated to all kinds of delicacies since 1902. Alongside the most praised names of international cuisine, customers will now be given the opportunity to see, touch, and smell whatever they wish to consume in loco or take home. To lead the pack, there will be Lance Gardner’s bakery, the most prized in the United Kingdom; together with his assistants, he will work in full view of the curious customers, aided by a panel on the wall saying what breads are baked at each time, and a bell ringing as soon as they are ready. Gardner makes 15 bread varieties, as well as sweets, cakes, and biscuits. Not far from him, there is Bartosz Ciepaj, with a 10-year experience and a fame as the best barista in the world, who is a master of coffee: he toasts it himself and enchants clients as he speaks uninterruptedly about varieties, blends, production methods, and origins. There is also an Italian, Angelo Tantillo, a tailor of tea-making, who prepares customized blends dedicated to those who do not settle for standard products. 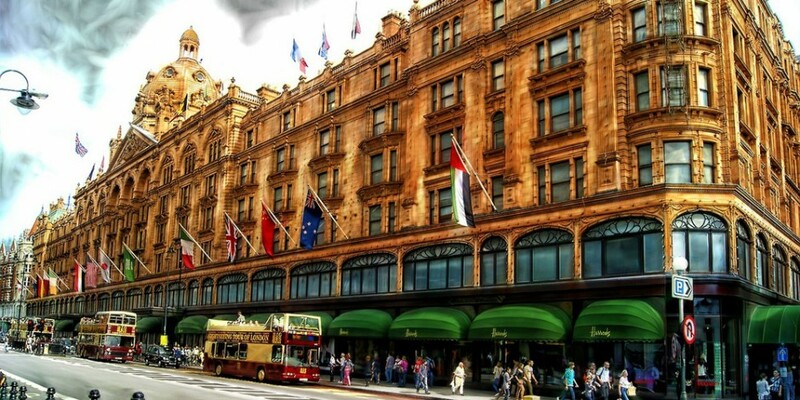 The Harrods food revolution is tacitly inspired by Eataly, the international chain specialized in Italian food and drinks, established in 2007 by Oscar Farinetti. And things are just getting started: according to the Director of Food and Restaurants Alex Dower, by 2019 Harrods will become the world’s greatest food emporium. 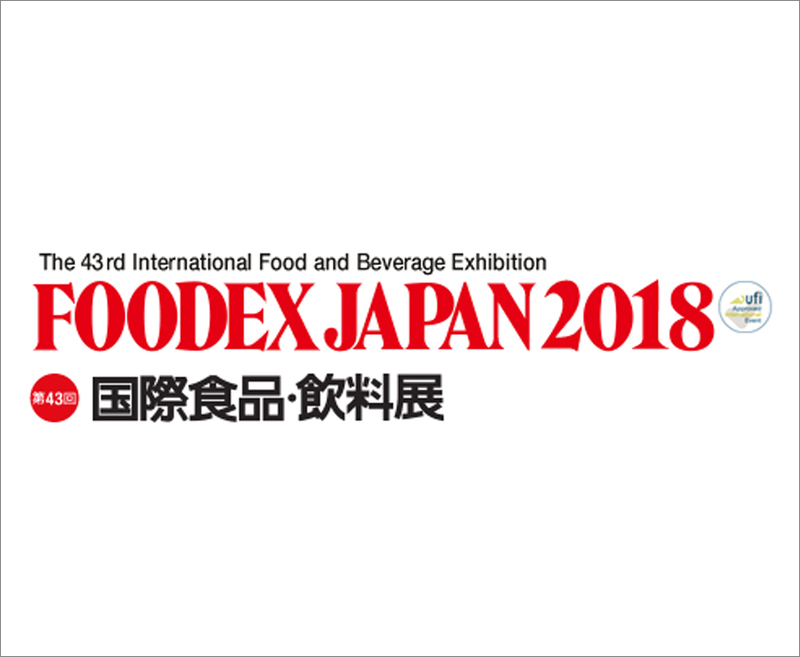 The Italian system will be present – as a solid unit – at the annual FOODEX Japan, the most important food & agriculture exhibition in Asia, set in Tokyo from March 6th to 9th, 2018. The event, on its 43rd edition, will once again take place at the Makuhari Messe, hosting 3,350 businesses and boasting an expected 85,000 professional visitors. “Italy has obtained the largest exhibition space of the Fair, with a surface area of 2200 m² (over 23,600 ft2) and featuring over 170 companies from 16 Italian regions. A presence that attests the variety, richness, and innovation of the Italian production, the extreme competitiveness of our product offer in the food sector, and the concrete effort by both companies and institutions, determined to work as a team in the sophisticated but absolutely promising Japanese market” stated the Ambassador of Italy in Tokyo Giorgio Starace. Who adds: “The Italian-Japanese commercial partnership continues to grow solid, in a context where both our economies are living a phase of recovery and expansion”. Throughout 2017, in fact, the value of Japanese imports of Italian products has increased by 21.6%: a significant result, which has also been confirmed in the month of January 2018 (+38%). More specifically, imports of Italian food and agricultural products to Japan have increased in all the main categories: beverages, alcoholic drinks, and vinegar (+9.74%); vegetables and fruit (+3.71%); bakery (+6.44%); fresh and cured meat (+8.17%). Giorgio Starace continues: “Our economic diplomacy thus plans to pursue its determined action in support of the companies. The primary aim is to guarantee access to the Japanese market to a growing number of Italian products. Just in the past few days, we have celebrated a great event at the Embassy: the arrival in Japan of the Chianina meat (a high-quality breed originally from the Valdichiana area between Tuscany and Umbria). Last November, we have obtained – after a successful negotiation – the go-ahead for export of cured beef products, including bresaola. In the future, we shall also concentrate on the fruit sector, which has an enormous potential”. The Italian Ambassador has promoted a series of B2B meetings, hosted in parallel and in the context of FOODEX, which will feature over 100 Italian business representatives and 80 operators in the main Japanese food & beverage groups. 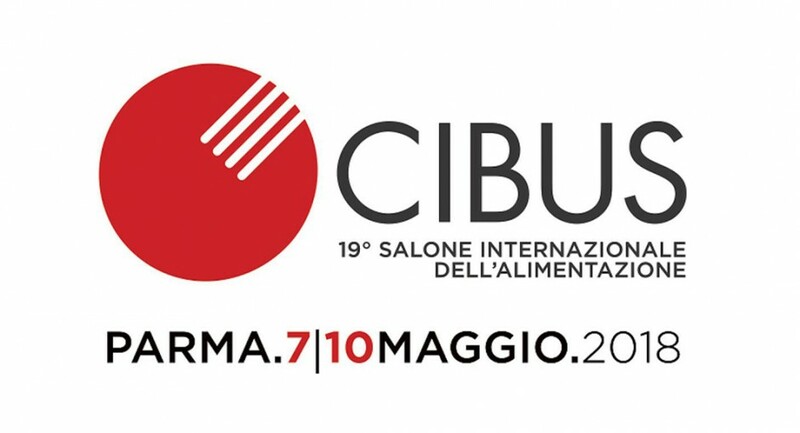 Moreover, on March 7th the Italian Embassy will host an important event for the presentation of CIBUS 2018 – 19° International Food Exhibition (Parma, May 7th-10th 2018), in presence of the CEO of Fiere di Parma (the Parma fair organization body) Antonio Cellie, as well as the President of Giovani Imprenditori di Federalimentare (Federalimentare – federation of food businesses – young entrepreneur organization) Alessandro Squeri. As a statement of a strategic and long-term plan, in 2018 Japan will be once again at the core of the integrated promotion campaign commissioned by the Italian Ministry of Foreign Affairs: the Week of Italian Cuisine in the World (in November), which will be garnished by a number of events that’ll take place across the entire Japanese territory on the occasion of the initiative “6000 Years of Italian Wine”. F.I.CO. (Fabbrica Italiana Contadina) Eataly World, the largest food park in the world, opened its doors for the first time on 15 November 2017 in the historic city of Bologna, a place with a rich culinary tradition. The brainchild of Eataly’s founder, Oscar Farinetti, and constructed in just over four years, the Disneyland of the Italian food & beverage industry occupies a surface area of 100,000 square metres, employing approximately 700 people, a figure that grows to 3,000 if you count ancillary businesses. FICO is a unique place where food is grown and produced, where you can taste Italian specialities and find out about the way these delicacies, the best of the country’s foremost food producers, are created at first hand. The park includes two hectares of fields and stables with over 200 animals kept outdoors, plus eight hectares of indoor halls that power themselves thanks to their solar panels, where 40 food manufacturing companies (from dairies to companies that produce fresh and cured meat, grains and pasta, fresh fruit and vegetables and preserves, fish, wine, beer and even sweets) are located. There are also 45 refreshment areas, shops and spaces set aside for sports, children, reading and facilities. As well as the 150 companies that have their own exhibition space there, Fico boasts six lecture halls, six educational ‘rides’ complete with interactive aids, a theatre, a cinema, a modular conference centre that seats from 200 up to 1,000 people and even a post office, where you can post the delicacies marked ‘Made in Italy’ all over the world. Last but not least, there’s the FICO Foundation, headed by the economist Andrea Segrè, which includes four universities among its members. In Ancient Rome, legionaries could be paid in salt. This explains the origin of the word ‘salary’, which comes from the Latin word ‘salarium’, a ration of salt. The custom of paying people with salt was also widespread in Ancient China and in East Africa during the Middle Ages, where salt was the main currency. More recently, salt was used as money by a number of Ethiopian tribes. Bricks of tea were used for centuries instead of coinage in China, Siberia, Tibet, Turkmenistan, Russia and Mongolia, where this custom lasted up until the Second World War. In Ancient Egypt, the standard basic salary consisted of ten pieces of bread and a ration of beer, which ranged from a third of a pitcher of beer to two full pitchers a day. This practice proved useful to the inhabitants of Angola in the late 1980s, when they were forced to use beer as currency during a period of hyperinflation. Rum was used as money in New England, in the mid-1700s, in what history has dubbed the ‘triangular trade’ that operated between the Americas, Europe and Africa. Edible currencies also include Reng, a ball of turmeric wrapped in coconut fibres, used in the past on the Solomon Islands, north-east of Australia. Bafia potato purée was an ancient currency in the part of the world now known as the Republic of Cameroon. The year 2011 saw an unexpected boom in the demand for fresh fruit in British jails. The reason for this was that inmates had started bartering with fresh fruit, due to the poor quality of the food supplied by prison management. In 2016, the BBC reported that noodles had overtaken cigarettes as a commodity in US prisons.